Raising a child has never been described as easy, but when children feel stress, anxiety, frustration and anger, particular difficulties arise that many parents struggle to handle in a productive manner. In many ways, children are just like adults. They have the ability to express the same range of emotions as grown-ups do. However, a child does not have the same experience and has probably never been taught what can be done to deal with these negative feelings, to make them subside and to learn from them. Several tried and true methods for helping calm down children in a composed, thoughtful style have been developed through time. These have been prepared with the help of child psychologists, developmental educators and people who simply have a knack for understanding the needs of infants, toddlers, and preteens. Unfortunately, not every method works for every child. You may have to try a few before you find one that is effective, and what works in one instance may fail in the next. Children learn by following examples more than they learn by listening to words and reason. To calm down a child, you must first remain calm yourself. It is all too easy to let the emotions of our children spur identical emotions in ourselves. Anger, stress and anxiety can be extremely contagious, and you must recognize this fact. Because of this, some parents have created a rule that discussions about problems do not commence until all parties are calm, collected and in control of their emotions. When your child loses control, your first instinct may be to put him or her in a time-out, but sometimes, it is you who needs the time-out. Your children’s frustration may continue if you steal yourself away for a few minutes, but this can work to your advantage when you let them know that you will not help until the tantrum stops. You do not have to separate yourself physically from the child to put yourself in a time-out. A mental time out works just as well or even better. No matter how difficult it may be to keep them inside, do not let your emotions surface in front of your children. Show them that problems can be dealt with calmly. Apply this technique to interactions between you and your kids as well as everyone you meet. Losing control of your emotions when interacting with others, publicly or privately, leads your child to believe that this is acceptable behaviour. Children are not immune to vicious circles of emotions. Much of their stress and anger has nothing to do with the original problem. It is often compounded by not understanding how to express their feelings intelligently. Children who scream, kick, hit and throw objects may simply not know how to translate these strong emotions into words. Asking your child to tell you how they feel, how to help or what they need is a good start. But if he or she doesn’t know the words to reply, the effort will be in vain. One way to overcome this dilemma is to practice dealing with anger and stress at times when it is not being experienced. Ask your children to think about recent episodes of rage, and teach them the words they need to express these feelings. Begin with simple synonyms for their feelings, such as mad, angry, peeved, frustrated and irate. Repeat these words when future incidents occur and expand upon them each time. Another great exercise is to point out and talk about these feelings when they are witnessed in others. If you are at a park and another child is showing signs of anger or frustration or is arguing with a parent, ask your son or daughter what they think the problem may be and what may be possible solutions. Putting your children in the role of an analyst will help them analyze themselves. The body and mind are irretrievably connected. The physical sensations of your body affect your mind, and your thoughts affect your physical state. Therefore, you can bring about psychological calm in your children by providing them with soothing physical sensations. Begin with a hug. Ask your child to hug you before you take on their troubles. You may be amazed by the results of such a simple action. Comfy furniture can also be very calming, and nothing works better than childrens bean bag chairs. Bean bags are not only comfortable but also fun. They hug the body and provide stimulation from the back of the head all the way to the hands and feet. 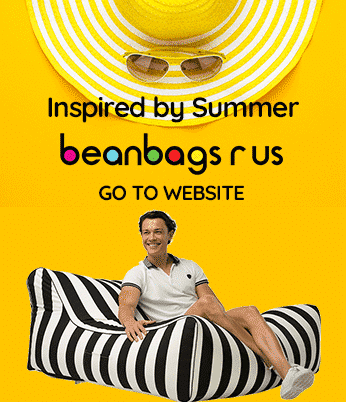 Bean bags are even used to treat children with autism and sensory processing disorder. You can ask your child to sit and read or watch a short cartoon before engaging the problem at hand. Children’s bean bag chairs can also be a fun distraction by using them for games. Many children love to receive a massage by having bean bags pushed against their bodies or by using them while running, jumping and engaging in other physical activities that release excess energy. 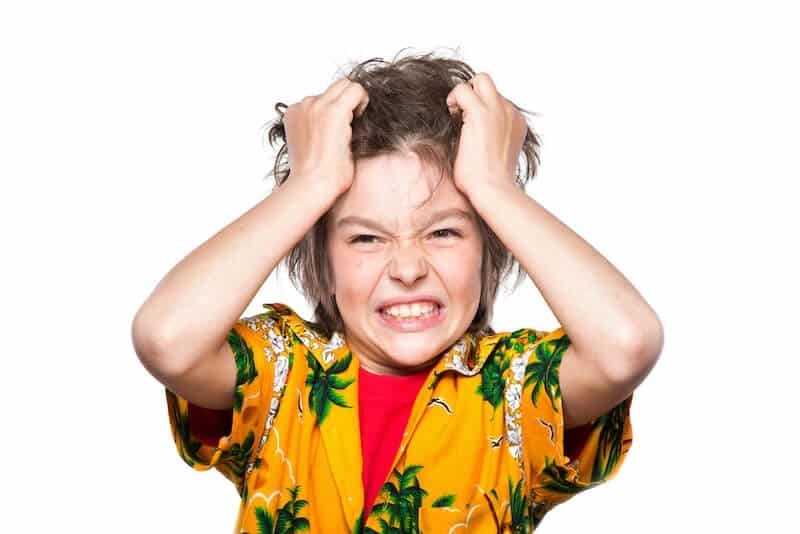 Most children do not recognize that they experience little warning signs leading up to the point of an anxiety attack or episode of full-on anger. Discover what the particular signs are for your child, and discuss them with him or her. Children may clench their fists, become hot, become red in the face or begin talking loudly. After you talk to your child about these signs, point out whenever you see one and ask if it means they are getting angry or having a problem. This will give your child something to think about, and it is the first step in teaching them to control emotions on their own. Teaching your children strategies for dealing with emotions will serve them well throughout their lives. A great exercis, to begin with,h is to have your children take three deep breaths then count slowly to 10. The breaths and the time will help them relax and distract them from the intensity of their emotions. Practice this strategy at least five times per week for the next three weeks before moving on to something new. The more skills they learn as children, the better equipped they will be as adults.